Dr Brendan Bentley gave the opening address, launching the Department for Education and Child Development’s 2018 STEM (Science, Technology, Engineering and Mathematics) Expo to over 100 teachers on Friday the 23rd of February. 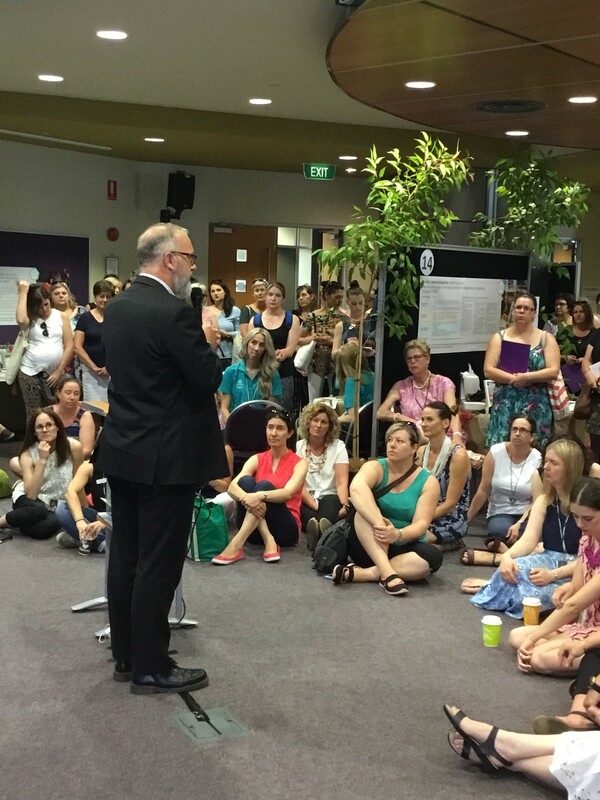 The Expo celebrated the Department for Education and Child Development’s Early Years STEM strategy and brought together early year educators across the state. Brendan spoke passionately about the importance early year’s educators play in providing creative and critical thinking in early childhood years and role they play in enhancing learning through the interconnectivity and integration of the STEM disciplines. “Never before as a country have we needed to be more economically competitive or needed to be more socially inclusive. Quality STEM education provides us with the opportunity to be both; to engage with our community to be STEM ready for the future needs of the country and provide the STEM dispositions to meet these challenges- and it begins here with the early year’s learning”. This entry was posted in Alumni, Connect, Research and tagged Brendan Bentley, research, school of education, STEM, STEM Expo. Bookmark the permalink.